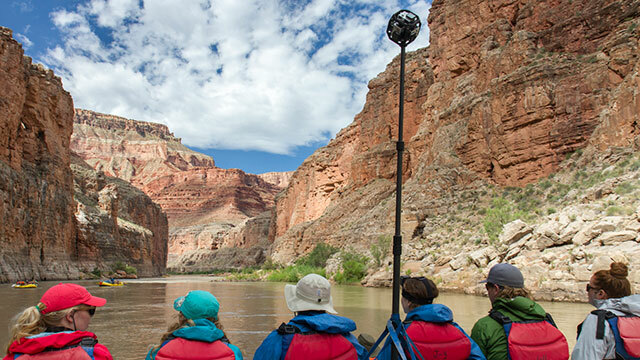 360 Labs takes you on an epic river adventure of a lifetime. 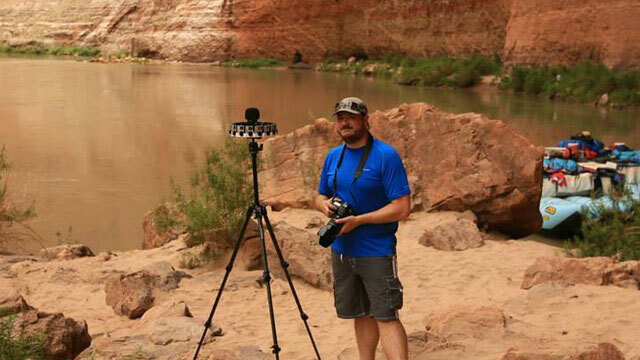 In August of 2014, Western River Expeditions helped 360 Labs co-founder Thomas Hayden realize a 10 year long dream to bring 360 video to the Grand Canyon on the Colorado River. No other production team had ever captured 360 video from the river itself, this offered a whole new incredible view of the canyon that you just can’t get from helicopters or from standing at the rim. The 7-day trip presented many unique challenges. The first challenge was the lack of power anywhere on the trip. Solar wasn’t really much of an option, with the boat constantly on the move there’s not really a place to lay out a portable solar panel. When the group stops for camp, the sun disappears quickly behind the canyon wall. The best option was to simply bring a ton of extra batteries. On this trip, you are constantly on the move. Getting wet, dry, wet again, dirty, clean, dirty again. All equipment had to be carefully stored in waterproof pelican cases when not in use, swapping cards or batteries had to be done in a tent over a sleeping bag to avoid getting any dirt or sand on the equipment. To help us combat these challenges, Freedom 360 hooked us up with a couple of prototype 3 camera mounts. With three modified GoPro Hero3+ Black cameras with aftermarket 180 degree lenses, we could capture a full 360x180 sphere at 4K stitched resolution with half of the usual six cameras which means less batteries, less space and overall less hassle. But unfortunately this rig didn’t come without cons, our biggest concern was the increase in flare from the sun caused by the aftermarket lenses. But even still, this has become some of our most heavily viewed content. Today, there are many more options for aftermarket fisheye lenses at extreme wide angles with much better quality - but back in 2014 this wasn’t the case. 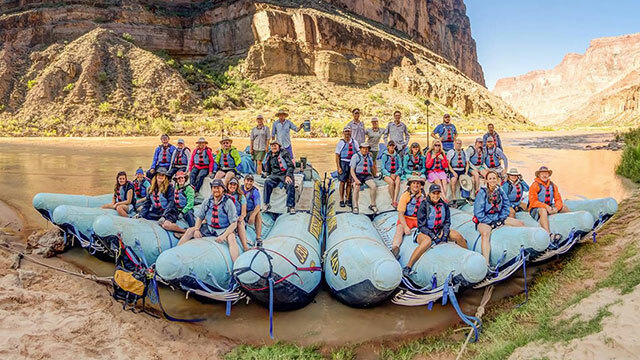 In 2015, we were invited back on the river with Western, our President and co-founder Matt Rowell would head back down the canyon to take another swing. During the second trip, we relied on the trusty 6 camera Freedom 360 Explorer mount, a holder designed to work with the GoPro underwater housings so that cameras can be protected from splashes. With stock GoPro lenses, we were able to capture many of the same famous rapids without the added glare. Many of our newer shots were included in the trailer for our Grand Canyon Documentary, As it Is. On the 2015 trip, we also tested yet another prototype camera known as Google JUMP. The rig consists of 16 GoPros in a ring configuration, offering enough overlap for creating stereoscopic 360 content. 360 Labs was the first team outside of Google to ever test the JUMP Prototype, you can see our 3D stereoscopic content from the canyon here. When YouTube launched 3D stereoscopic content as a feature on their 360 platform, we were among some of the first content creators to be featured with the announcement. After Thomas went down the river on the first trip in 2014, he brought us back a story we felt very compelled to tell. The Grand Canyon is constantly threatened by outside developers who would wish to build resorts, restaurants and hotels on the canyon at the rim and even down to the river. This is very controversial, given the fragile nature of the canyon’s ecosystem. The region has very little water to sustain commercial properties, and very little infrastructure to support drainage and waste. It’s pretty amazing that this is one of very few places left on earth where you can get away from civilization, although some developers would change all of that if they could. Over 100 years ago, Teddy Roosevelt famously implored Americans to leave the Grand Canyon "as it is" for future generations. This is why we were inspired to make “As It Is,” a documentary that will take VR video viewers down to the Grand Canyon on the Colorado River, showing them just how incredible this place is and why we should care about it. Thanks to some great media coverage from Outside Magazine, the Portland Business Journal and many others we were able to raise funds for a third trip to the Grand Canyon National Park to interview superintendent Dave Uberagua. Group photo by Daniel Luke Holton. Since capturing the Grand Canyon content, our videos have amassed more than 1.2 million views on YouTube. They’ve also been popular on other 360 video platforms such as Littlstar, Vrideo, and Samsung’s MilkVR. Western River Expeditions has received media coverage from many local and national outlets, and bringing a “World’s First” to the 360 VR video medium is something that we believe put 360 Labs on the map. Up next, we’ll continue to work on the full length documentary and make it available on as many platforms as possible - free for everyone to watch. Western River Expeditions will also have another edited 360 video focusing more on the overall experience of the trip. It’s hard to explain just how incredible and magical this trip is, but with VR at least we can come close. Stay tuned!